We added almost 4,000 parts to the EPLAN online library, resulting in more than 7,500 macros available free-of-charge from our website. This latest panel builder support initiative comes at a time when creating documentation for complex equipment is increasingly a major challenge, especially when panel builders are working to a tight budget. It is even more of an issue for international panel builders who need to produce documentation that requires careful and accurate translation. 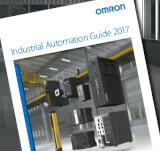 That’s why we offer more than 7,500 macros for the EPLAN system, enabling users to drag and drop pre-drawn components into their own document or project, and create accurate and up to date documentation for Omron-powered panels and machines. One can select products out of a list up to a maximum of 50 unless you select the product group download (which has no limit). Parts data for our major products, including all Value Design products launched in 2016, are directly imported into leading panel design software packages such as EPLAN and (soon) also Zuken E3. One will find both 2D and 3D CAD files in the most popular formats, making it easy to optimise the space available in the electrical control panel. The functionality of the online library has been significantly improved. One can check the release date of the part and avoid any customisation compatibility issues with upgraded parts. 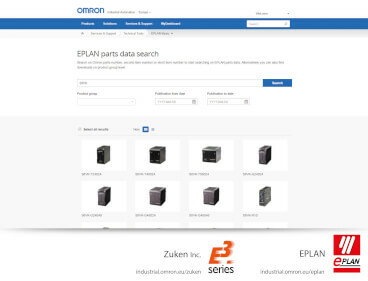 Start the EPLAN parts data search log-in or get direct access. More information about the “Value Design for Panel” programme.